The GTX 1080 Ti had been sorely missed at NVIDIA’s CES announcement after what seemed like an anticlimactic reveal to the grand countdown. The reason for this was simple, NVIDIA had originally planned to show the GeForce GTX 1080 Ti to the crowd but decided to skip it since it did not seem like AMD was going to be showing Vega after all. The source of today’s news is the website the tech buyer’s guide and their interview with the employee of an NVIDIA board partner. 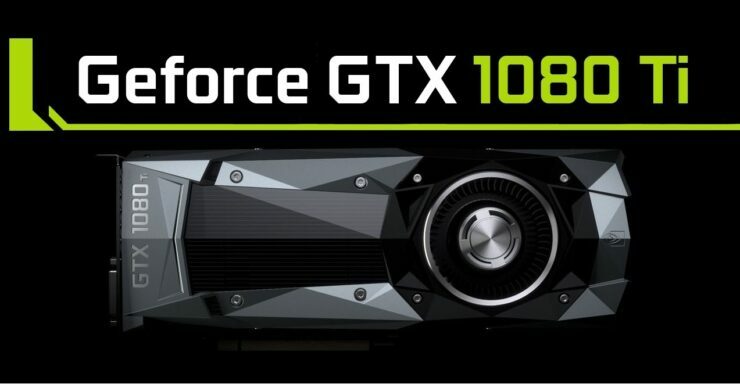 In what appears to be a textbook case of game theory applied to the two chip manufacturers, NVIDIA has pushed back the date of release to put some more polish on the GTX 1080 Ti as they wait for AMD to make a move and enjoy a couple more months of GTX 1080 holding the performance crown uncontested. That said, sources are now saying that the company will be showing the card around PAX East, which is to be held on March 10-12, 2017. The source of this news is apparently the employee of an NVIDIA AIB who was not named for obvious reasons. If this turns out to be true, it would fit nicely with what we have been hearing about AMD lately. If AMD really does plan to reveal Vega in June then it makes no sense for NVIDIA to reveal the 1080 Ti now, and cannibalize sales of the TITAN X (Pascal), rather wait and polish the Ti some more so it can retain NVIDIA’s performance crown once Vega hits the shelves and dethrones the GeForce GTX 1080. Another nugget of information that the employee supposedly gave up was that the GTX 1080 Ti will be available from all vendors from the get go. What he is basically saying is that you will be able to buy AIB variants of the GTX 1080 Ti from day 1. Unfortunately, the Ti being launched this late raises another concern. Does this mean we will not be seeing the Volta generation this year? Not surprisingly, the answer depends once again on AMD. It would appear that AMD has very little plans to succeed the Vega GPU anytime soon. They do however have plans to introduce a dual Vega GPU sometime in the second half of 2017. NVIDIA can counter this by either releasing a dual GPU of their own or by releasing a single card which can offer comparable performance to the former. Judging by what we have seen from the DOOM demo at CES 2017, the Vega GPU will offer higher performance than the GTX 1080 – which means NVIDIA needs to respond with a consumer variant that offers comparable or higher performance immediately or before the fact, or risk losing market share. One thing is for sure though, Vega’s pricing will definitely increase the purchasing power of the average gamer. If Vega is priced correctly, (and there is no reason to assume it won’t be), then it will force NVIDIA to slash pricing on the GTX 1080 and offer the GTX 1080 Ti for a premium, because at the end of the day when the dust settles on a pricing war, the consumer wins. The story of the GP102 based core started about 4 months back and was confirmed by a leaked change log by the AIDA64 devs. NVIDIA has already released one variant of the core in the form of the TITAN X for the ultra high-end spectrum but we have yet to see one in the usual mainstream “Ti” format. Dubbed the GeForce GTX 1080 Ti (at least till we are sure of the name) the graphics card will bring the GP102 core into the mainstream with a price tag under $1000. The shipping manifest’s INR value, which is basically the insurance value of the chip, is cheaper than the TITAN X’s. While INR does not directly translate to MSRP, we can safely infer that it will be cheaper than the TITAN X. The exact type of GDDR (GDDR5 or 5X) is not mentioned. The shipping manifest shows the memory at 10240 MB, which is a solid 10 GB worth of vRAM. The memory bus is shown as a 384-bit part, although it remains to be seen whether the full configuration will be active. As for the core count itself, apart from the fact that this is a GP102 part, we really don’t know anything concrete. The TITAN X itself has 3584 cores while the GTX 1080 has 2560. Either the GP102 part will have a configuration that is somewhere in between or it will have the same die as the TITAN X (unlikely). There is a very slim possibility that NVIDIA decides to go ahead with a full-fledged core.